You have made the journey to Okinawa. 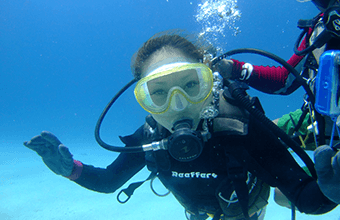 Whilst you are here you want to sightsee but you also want to go diving or you arrive into Okinawa in the morning but you want to dive in the afternoon. We understand and have the perfect half day tours available for you. 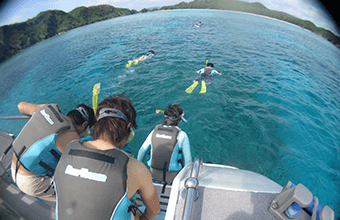 Even on a half day tour you can experience a full day’s worth of fun filled diving and snorkelling off the beautiful deserted islands of Kerama. Relax watching the clear blue sky, clear waters with white sand from our cruisers. It will feel like you are relaxing in a resort. 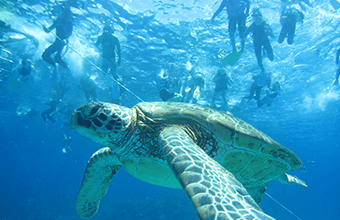 Snorkelling in the clear waters of Kerama you can see colourful fish and often sea turtles will come by to say hello. 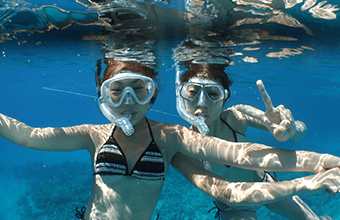 Our half day tours will take you to islands like Kurojima, Maejima, Nagannujima, Kuefujima and Kamiyamajima. 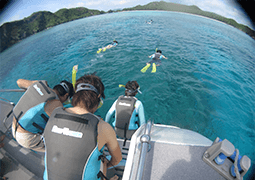 Once we arrive at our diving point you will have plenty of time to enjoy diving, relax on our cruiser or snorkel for free. 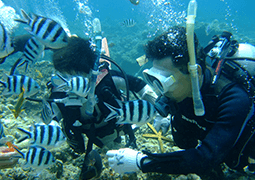 If you would like to see the beauty of Kerama again you can request a second dive for a fee of an extra 5400 yen. Refresh your mind and soul whilst relaxing under the glowing sun in paradise. For customers wishing to take their special memory of Kerama home with them. Don't worry! 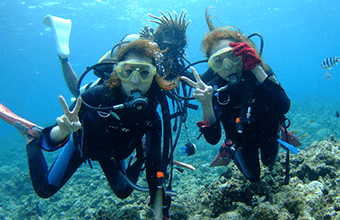 Our staff will take a picture of you whilst you are diving. 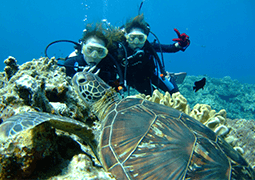 Kerama Half Day Experience Diving Tour. ※Customers over the age of 60 are unable to participate. After meeting at the meeting point at Miegusuku Port we will depart for Kerama. We will start diving. 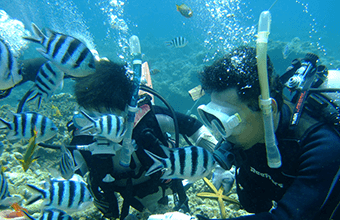 Feel free to snorkel in our spare time. 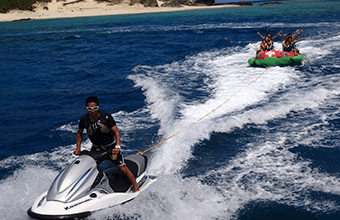 You can choose to do an optional dive (for a fee) or ride the banana boat. We will return to Miegusuku port in Naha. You are free to leave. 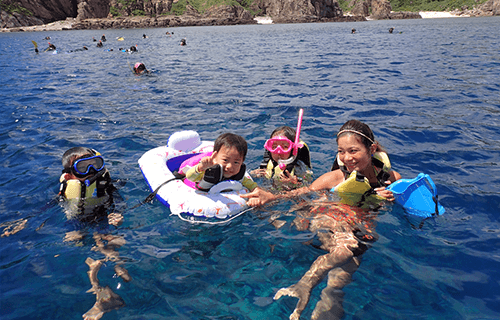 ※Depending on the season and sea conditions the schedule may be changed. ・You can make a reservation during our operating hours of 9am to 7pm. 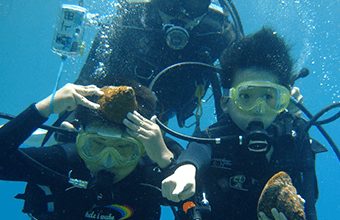 ・Customers over the age of 8 are able to join our experience diving tours. ・A pick-up service is not available. We ask that customers please make their way to Miegusuku port by their own accord. ・Cancellations made the day prior to your tour will incur a 50% fee. Cancellations made the day of your tour will incur a 100% fee. After meeting at the meeting point at Miegusuku we will leave for Kerama. 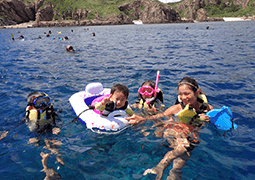 We will arrive in the deserted islands on Kerama and begin snorkelling. 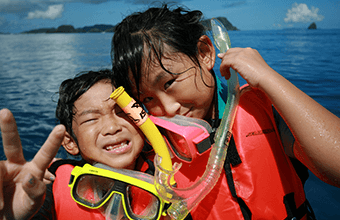 You can choose to ask to dive (for a fee) or ride on the banana boat. We will return to Naha. Once we arrive you are free to leave.